If you haven't noticed, this ministry has a new name. 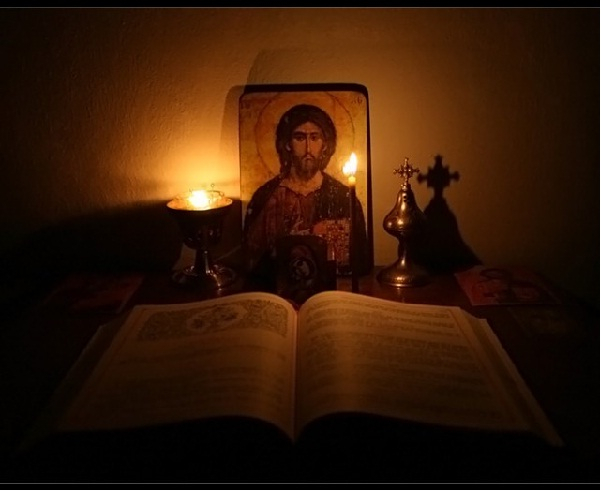 Instead of simply being called Mystagogy, I have expanded the name to be the Mystagogy Resource Center: An International Orthodox Christian Ministry or simply M.R.C. Please refer to it by this name from now on. For those who have been following this website for some time now, you will have noticed that I have been creating more and more individual resource pages recently, mainly focusing on feast days and saints for now, but will soon expand to include a wide variety of subjects. Providing such resources that are easily accessible, well researched, expansive and focused has been a primary goal of this ministry, and will continue to be. With such a foundation, the future possibilities of this ministry are endless! Providing these resources takes countless hours and much effort to research and produce, as you can imagine. At the same time, my goal for this ministry is not only to provide information, but more so to be an inspiration and blessing in people's lives for their spiritual benefit. And now that we have entered the period of Great Lent, on our journey towards Holy Week and Pascha, I hope to provide material that will help to be a means of making this time as spiritually fruitful as possible. I have described this ministry as An International Orthodox Christian Ministry, because people from literally every inhabited place on earth with internet access has visited this and my other sites, much of the material posted here is translated in over a dozen languages from diverse countries, and donations have come in over the past few years from over 30 countries, testifying to its wide outreach. With this being said, and since we are now in a time where we should be especially focused on virtues such as almsgiving, I also want to inform you that although this ministry is growing in many ways, contributions to this ministry have reached a low. Perhaps it is my fault, as I don't ask for contributions as much as I should. I have tried to only focus on asking for contributions twice a year (Christmas and Easter time), but this is no longer enough. In fact, in the past four months I have had more cancellations in monthly contributions than additions. From what I have been informed, this is because of financial hardships, especially with the holidays recently passing and tax season upon us. But this ministry needs your regular help, whether it be monthly or annually, in order to take its necessary progressive course. So if this ministry is at all of value to you, please help as you are able today. For those who can't even afford $5 a month at this time, I have added an option to contribute $2.50 a month in the subscription box below. Thank you in advance for your generosity.